Hi tell you that USA company bribe to my boss to lower the shoe price. But now the Goverment is angry to my boss becase the Workers are yelling to the Goverment about the Workers salary price downing from my boss. So my boss is worry he will go to the re –education jail place be punish to accept the bribe! He is a good man so he should not go there. He only want to get that money so he can be richer. The Worker at my factory say to my boss ‘kou mi fu jian’. in English it mean a kind of person that is always saying good words on you but is in real a bad man. Now I must help my boss from the police. If the police will take him then I can get a new boss later. So do not feel sad to me. how is your life? Hi tell to me.. Do you know Micael Jackson? He is the famous USA singing man. I want to know why the USA man have hair on the legs and arms? You are monkey? Hi, here is more photo to you. You must look at that. The old house again. The water next to the house so the small boat can use that. 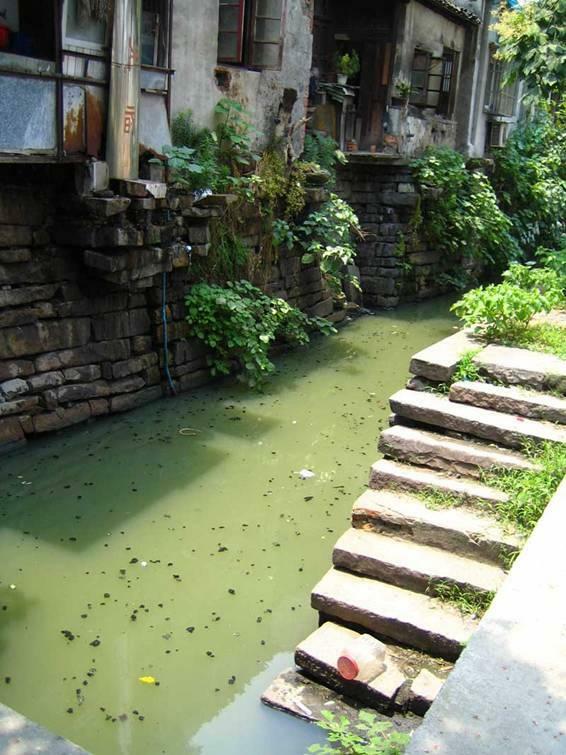 The canal water is very smellsome. You will like to vomit when you smell that water. becase from the house the feces. 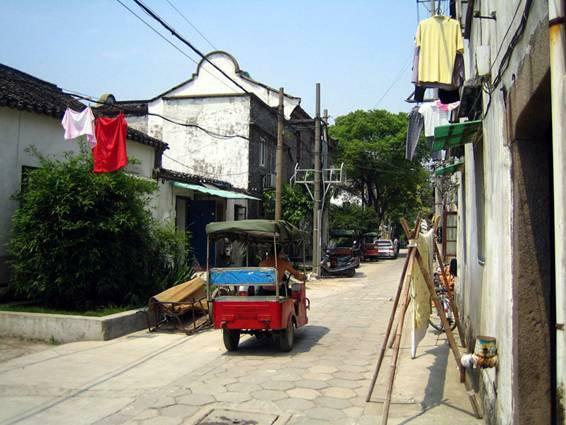 Some small street. This one is so clean you can not imagine. The street cleaning man for this street is very good . 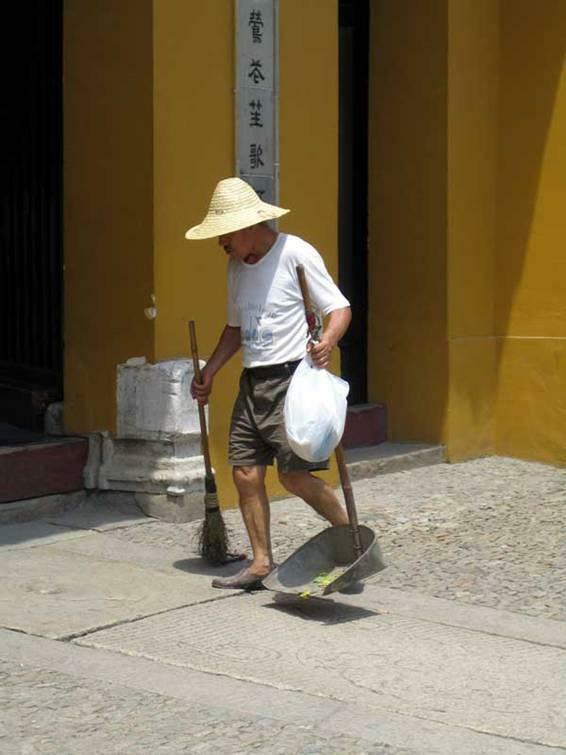 Mr. Xu is the cleaning man. Everyone must praise to him for his diligence. The old farmer can sell the vegtable to you. These day many useless person come to Suzhou to selling it but the police want to catch those kind of person becase they do not have the allowed selling paper from the Suzhou Districk Buiness Administrations Bureau. Everyone must denounce that kind of villain. Now it is time to eat the water melon. 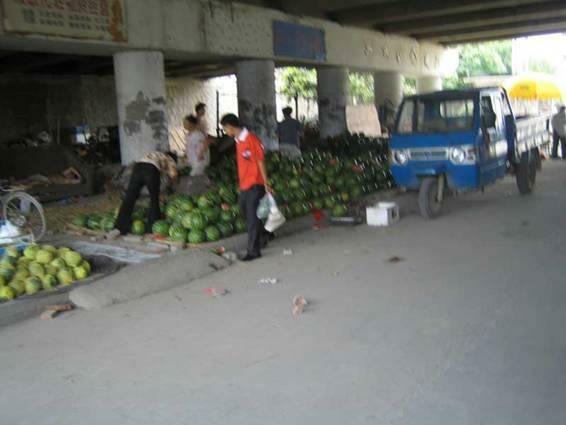 You can buy this water melon from the farmer, only 2 RMB for that. 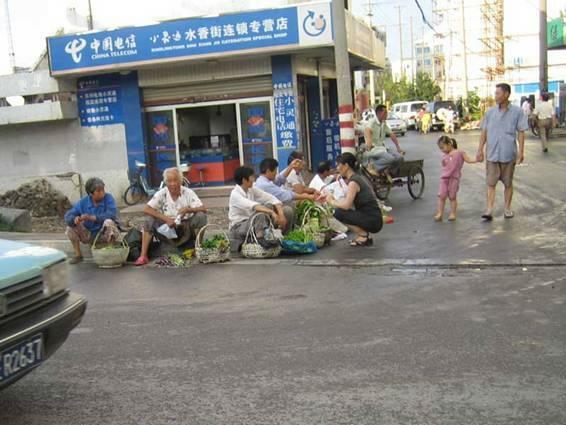 The farmer always sit under the brige to sell that becase it is colder and the police can not find them there. 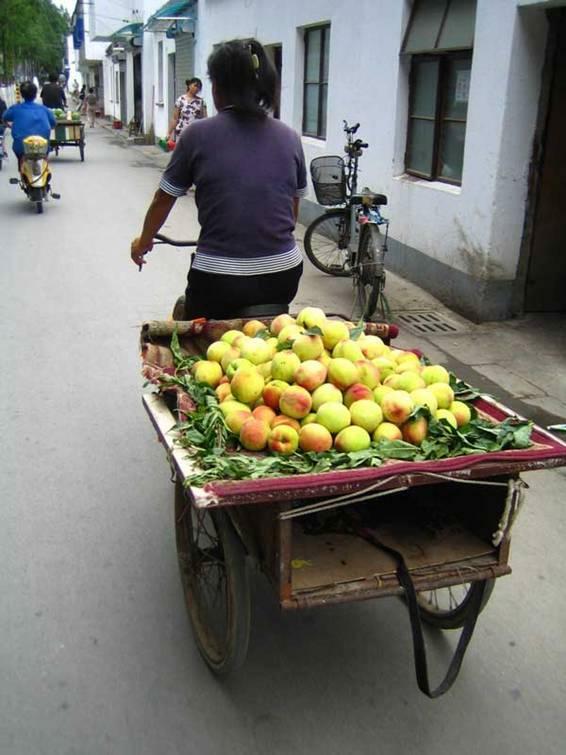 This farmer selling the peach vegetable from the bicycle. She is more sly becase if the police want to catch her she can go away on her bicycle. 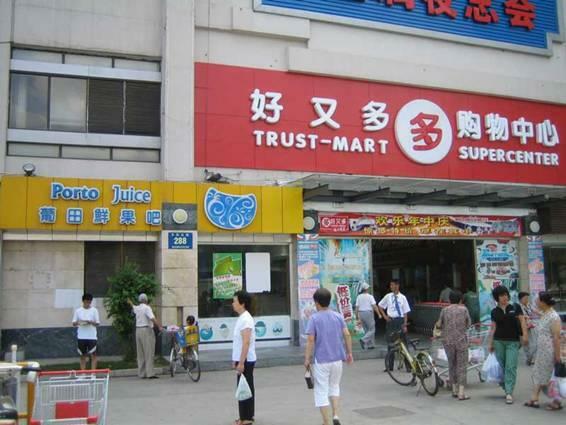 The new Trust Mart store is very good to buy the vegtable and other thing. Every one want to go there. Do you like to watch the small child? 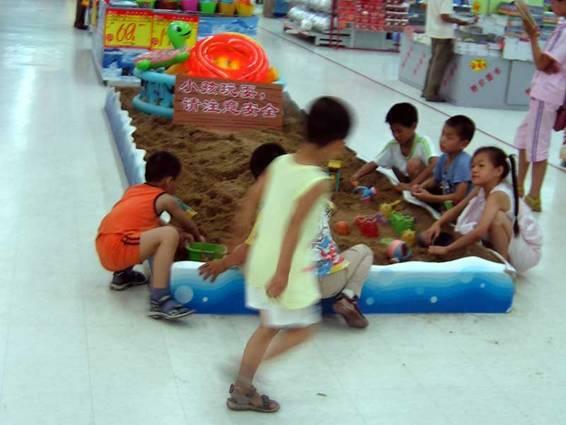 At the Trust Mart you can see the child playing with the soil and laugh to that. The one boy is very naghty. He put his finger into the behind area of another boy and then run away and laugh to that. The child always have funny games. 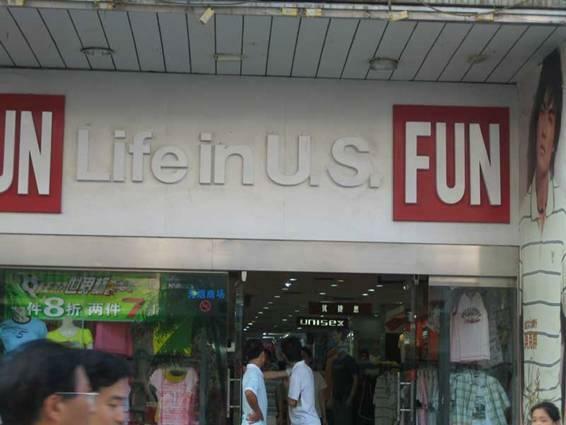 The USA store is here. This day Every one want the USA clothing becase it is so cumpterful ! Yankers go home is the famous saying of USA. The new forgeiner at my factory named Mr. Boocher tell me many new thing. He is from the Canada place. He say that Canada is like the hat of USA becase it is on the top of USA. He is funny man but he always want to go to the bar to drinking. 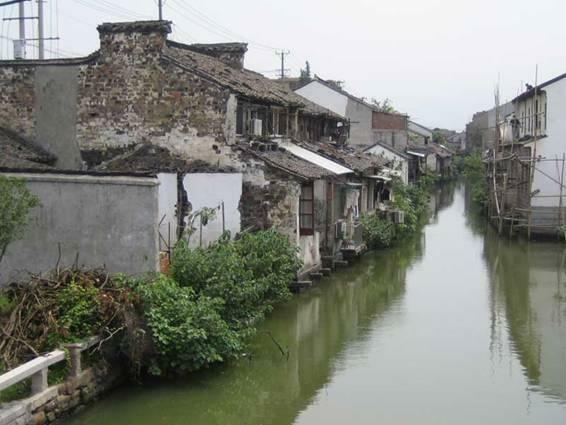 He will live in Suzhou for 8 month to check the shoe from this factory. Later I will chat more to you. Please wate for me. Wish you are happy in your house now !!! Try to fun today !